This so important and a pre-requisite for open access to quality information. Libraries play an important role in securing access to information, also through the Internet, equipping users with the necessary skills to identify quality information and in becoming digital citizens. 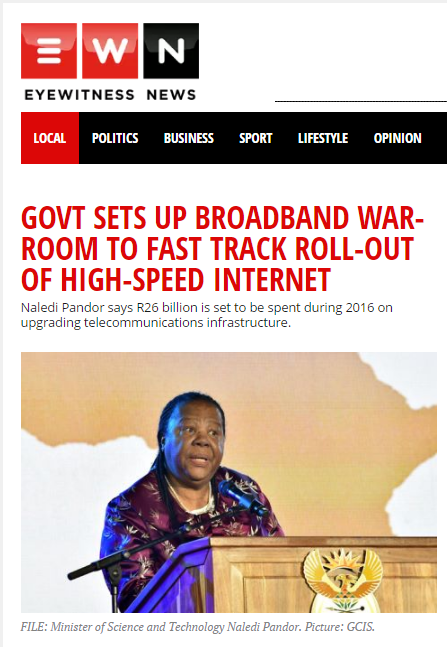 Naledi Pandor: R26 billion is set to be spent during 2016 on upgrading telecommunications infrastructure.